Hyundai has been trying very hard to make an impact in the American automobile market with every car that they introduce, but certainly 2014 Hyundai Sonata has nothing more than few revisions for 2014. Although, the car remains one of the best cars in the competitive family car segment but many buyers would not be really thrilled to spend on the revisions that are introduced by Hyundai. Hyundai Sonata still remains among the top sedans in the family car segment and they have done well in the past with the kind of features that they have introduced. On the outside, the new 2014 Hyundai Sonata remains identical to the earlier models and there are no major cosmetic changes that are made this time. The new car gets similar front fascia and the fluidic design that is popular with Hyundai Sonata. The car also gets 16 inch alloy wheels and a dark chrome grille that makes the car look different from the earlier version. This time Hyundai has also included xenon lights and LED tail lights and sport tuned exhaust that makes the car appear sportier than before. Under the hood, 2014 Hyundai Sonata is powered by 2.4 liter four cylinder engine that generates 190 horsepower and 179 lb feet of torque. The SE model gets the same engine but with the help of dual exhaust the engine manages to generate 192 horsepower and 181 lb feet of torque. The engine is mated with six speed automatic transmission that provides acceleration of zero to 60 mph in 8 seconds. The engine also provides fuel economy of 24 mpg in the city, 35 mpg on the highway and 28 mpg combined. The second engine is turbocharged 2.0 liter four cylinder engine that generates 274 horsepower and 269 lb feet of torque and that sprints from zero to 60 mph in 6.7 seconds offering fuel economy of 22 mpg in the city, 34 mpg on the highway and 26 mpg combined. In terms of safety, 2014 Hyundai Sonata does well and earns top five star rating for overall crash protection. It includes ABS, traction control, stability control, front and side airbags and front side head restraints. It also offers Hyundai’s BlueLink emergency telematics system that offers roadside assistance, crash response, remote door lock control and monitoring features. It also offers optional blind spot monitoring system. Interior of 2014 Hyundai Sonata is not really appealing, but better than the average interiors in other sedans. The interiors are available in two colors trim or piano black trim depending on what the consumers want. 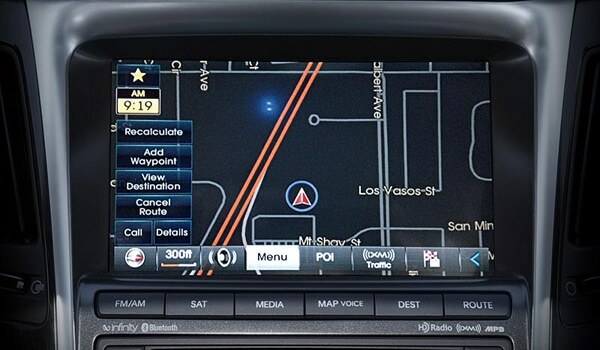 The dashboard and center stack blend together well and has 4.3 inch touchscreen that provide better functionality. The sedan has 16.4 cubic feet of cargo space. In terms of performance 2014 Hyundai Sonata is good and offers better value for money, but Hyundai has not really added more features to the vehicle that makes the newer version exceedingly better than the earlier ones. 2014 Hyundai Sonata is available in the US market for $21,450.